Gardening for Geeksby Christy Wilhelmi packs a big punch of great practical organic information, ideas, projects, and philosophy into a lot of small, easily digestible pieces. Bright and informative without being preachy, the book includes a huge range of stuff in a relatively small space. It runs the gamut from how to create a sustainable ecology to materials, gadgets, fertilizers, native plants, pollinators, making a worm bin, a bee box, raised beds, storing saved seeds, vertical gardening, building soil, using either a compass or the internet to decide how to situate your garden, canning and water catchment, among other things. (PHEW!) It also touches on French Intensive, bio-intensive and square-foot gardening, (each of which have had whole books written about them) — all distilled into straightforward prose. The first chapter focuses on what (Habitats, for example), why (because you need a balance of all the creatures that make the whole system – food for you, food for pollinators, food for pests, which are food for pollinators and other beneficial creatures in the garden – it’s a complete circle) and how you achieve it. 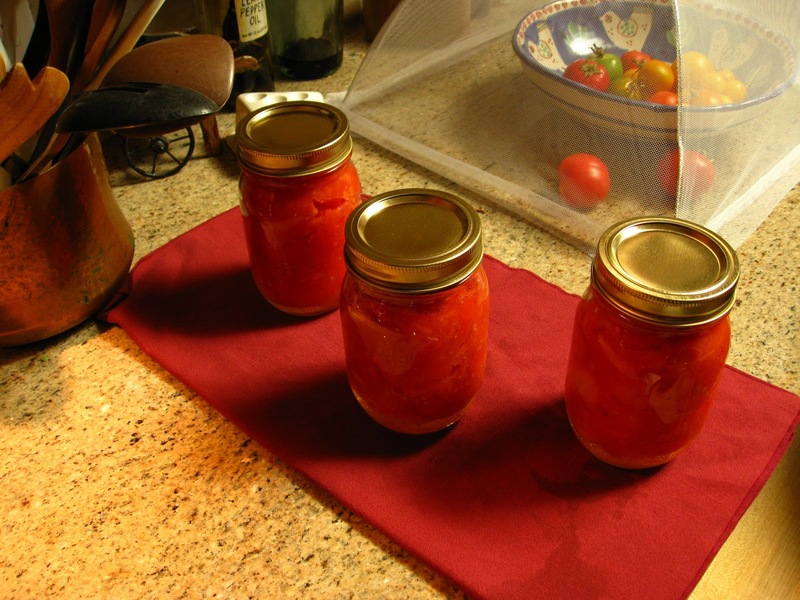 The last chapter includes some recipes followed by an appendix with a few seed sources. Gardening for Geeks offers succinct reasons why you would do something (create compost, check to see if the redwood you plan to use to make raised beds has been chemically treated or kiln-dried, for example) – keeping in mind the average person, who doesn’t have the luxury of turning growing some food from part-time pleasure into a fulltime job (even if they wanted to). The format is visually appealing and well organized with plenty of illustrations both photo and drawing, and includes great little break-out tips that catch your eye as you flip through. This is a book you could give to inspire a novice gardener without making them feel overwhelmed, to your favorite gardening friend without insulting them, since there is bound to be something inside that even he or she hasn’t come across or imaged yet, or to yourself since it’s like the crib sheet to a host of gardening courses. 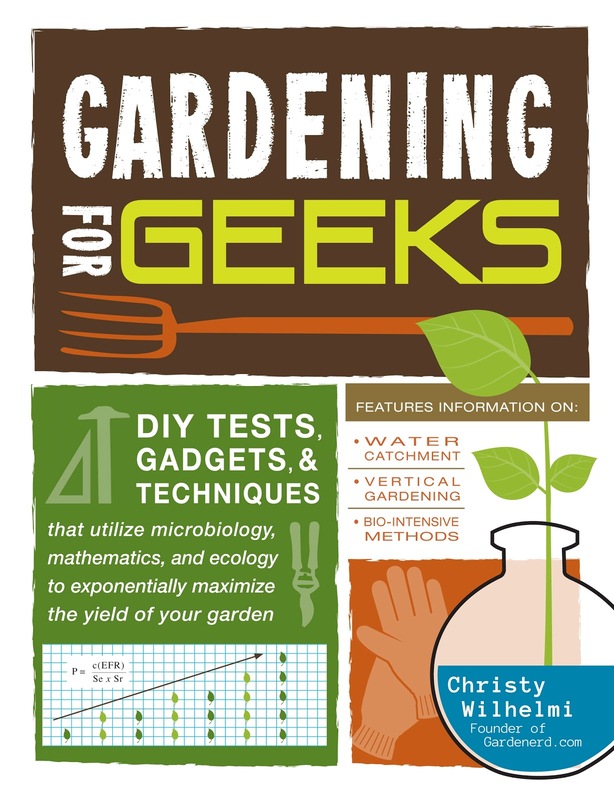 Gardening for Geeks by Christy Wilhelmi (Adams Media, $15.95).